First and foremost, we would love your prayers. We have seen first-hand the Lord’s faithfulness in answering the prayers of His saints. If you would like to pray for the ministry, the children, staff, etc, we have prayer cards and email updates that we can make available to you. As you pray for the orphanage, should the Lord move on your heart to come down and serve alongside us, we would love to have you. We frequently have short-term missions teams that come down to serve the staff, work on the facility, and minister to the children. 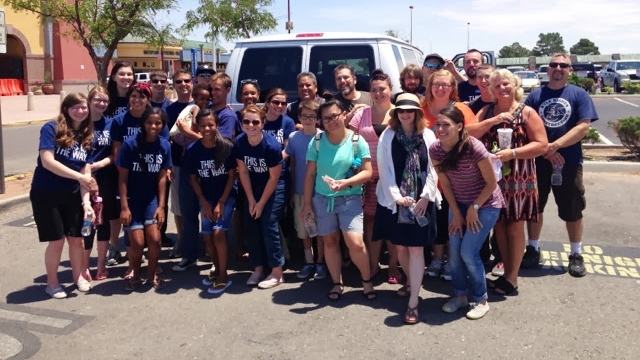 If you are interested in joining a missions team, planning a trip for your own large or small group, or serving for an extended period of time, please contact Pastor Jason to find out ways to be involved, upcoming trips, details, etc! Contact Jason about coming to serve! Looking to plug your passions into ministry? Ready to be spiritually stretched as you serve orphans and widows in a developing country? Our expanding internship program offers specialized tracks in construction, marketing, hospitality and administration so your unique giftings can be utilized and cultivated. Whether you're considering vocational ministry or just want to love on children over summer break, check out the info flyer and application package below. These are resources you can give to groups to help Casa de Bendicion (The House of Blessing) in a greater way. It has been a blessing seeing the different ways that God continues to provide financially for the orphanage and children. The funds we receive go toward regular needs such as food, clothing, utilities, staff, and transportation (in addition to all other costs associated with running and operating a children’s home). We also have a Child Sponsorship Program which allows individuals to sponsor a particular child through prayer and financial support. All donations are tax-deductible. Should the Lord put on your heart to give financially to the orphanage, you may do so in one of two ways: via sending a check to South Hill Calvary Chapel or by paypal. Throughout the year, we also collect donations such as school supplies, clothing, fabric, toys, etc. Please contact Jason to see what specific needs there might be.